For those that do not know what GRESB is, it stands for the Global Real Estate Sustainability Benchmark. The extra financial rating project first came off the ground as a university research project from the University of Maastricht and the University of California at Berkeley. It was led by forward thinking Dutchman Nils Kok to define Environment and Social Governance for the property industry. GRESB It is now managed and owned by Washington DC based Green Building Certification Institute (GBCI) who also manage LEED and WELL Building Standard. Since inception, the number of GRESB members has grown from a forward-thinking group of a dozen property companies and fund managers to more than 850 property funds, which represent more than $3.7Tn of assets globally. GRESB has been a huge catalyst for the uptake of responsible investment measures in the commercial property sector. It has been deployed far and wide in a surprisingly short period of time. For the last three years, most property asset management funds have been required to complete the GRESB survey which involves gathering a huge amount of data about a fund’s sustainability related modus operandi. What does a GRESB rating actually mean? I speak with a lot of asset managers who are proud of achieving a high GRESB score and always ask them what it means to them? Not that I don’t know what it means to have a high GRESB score, but I am always interested in hearing their understanding of the scheme and whether they think it increases the real performance of their assets. Most of them tell us that it does not directly improve the performance of assets and I tend to agree with them. GRESB is a checklist of good practice measures around responsible property investment and management but it does not provide any indication of how green your assets are. In fact, I know of many organisations that outperform other organisations under GRESB but when looking more closely, underperform when looking at the environmental performance of assets individually. How to enhance GRESB data management? GRESB management takes a lot of time and for most organisations that have slick performance monitoring programmes it is relatively easy to pull together. For others, data is put together at the very last minute, and the quality of the information is not so accurate, and includes estimates. In turn, this jeopardises the overall quality of the scheme, as the benchmarking exercise can only work if recoverable and robust data is used by everyone. Property funds request support from companies such as ours before the deadline to verify their data (and what other consultancies have put together), identify improvement opportunities and use our data quality assurance service. What I have realised is that most funds struggle with the same issues, gathering good quality and recoverable data. Installing smart meters is the backbone of robust energy management systems. The technology is reliable, affordable and yields to significant savings. At Longevity, we install them and we have our own platform which we developed with a software partner. The ease of installation does prompt the question, why are asset managers not choosing to install smart meters in all their properties? It would allow them to retrieve all energy data in 30 seconds across their portfolios and save a huge amount of time ahead of next year’s GRESB submission. If CAPEX is an issue then the organisation should consider the savings related to the identification of anomalies and the time spent by sustainability advisers to retrieve GRESB data. The big cost saving for smart meters is pre-empting the need for staff having to take manual readings. Of course, the paybacks are questionable but it is also critical for being able to unlock fast frequency response opportunities, which are often untapped. Property management (PM) companies now often wrap GRESB data management in their PM services and our experience reveals that it drastically slows down the submission process, which consists of completing a thorough questionnaire. This model only works if property managers work hand in hand with qualified sustainability professionals who understand the nuts and bolts of the rating system and add value along the way. Asset managers are interested in optimising their Net Operating Income (NOI), reducing void rates and avoiding building obsolescence at all costs but GRESB does not allow them to do that. Once all the governance and management tools have been implemented is GRESB entirely necessary? And does it increase an asset’s value? GRESB proved to be a significant accelerator for the implementation of responsible management tools within asset management firms but should it provide a tool that will measure the performance of assets to better respond to occupiers’ needs? Submitting a survey now costs money and even more money to get the information ready. For some funds this amount could be sufficient to invest in renewable energy, electric car charging points, LED lighting and other tangible environmental improvements. This would attract better tenants, increase rental income, reduce operating costs and save the planet all at the same time. 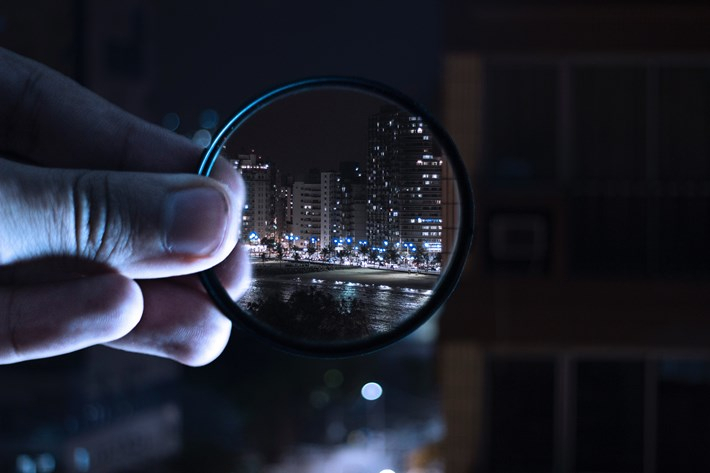 We see a lot of changes in the market with very smart initiatives being undertaken to increase building users’ satisfaction such as air quality monitoring devices, climate change resilience programmes, renewables, biodiversity, improved lighting and efficient HVAC systems… etc. I think it would be beneficial to include these elements in the GRESB survey to unlock further value for the investors it was designed to serve – not just sustainability advisors. GRESB started as a collaborative free of charge initiative but we have seen recently that the costs related to GRESB membership and submission have increased. The data submitted to the GRESB organisation is a gold mine that can be capitalised upon. This raw (but well organised) data submitted to GRESB could benefit the entire industry should the data be made open source and accessible to every organisation that contributes towards the scheme. It is clear that commercially sensitive information is included in GRESB - why then should paying members access this data and not others? GRESB has had a huge positive impact on the CRE market but now may be the right time for GRESB to think about its future. It started as a free, joint and progressive research project to define ESG in the property industry to address the collective responsibility of global climate change and it would be a shame to see the scheme moving towards a closed shop or a commercial machine which only benefits those that are able to pay. The real estate sector consumes 40% of the world’s energy. GRESB has certainly contributed towards a more sustainable real estate sector and will have an even greater role to play in the future should it evolve in accordance to the requirements of the market, - but this next step will very much depend on the route the organisation wishes to take. If you need any further information on how to improve your GRESB score, please contact am@longevity.co.uk.